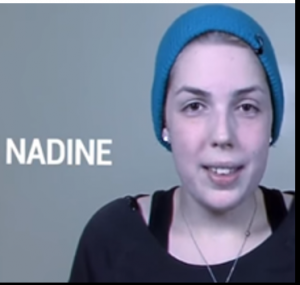 Assisted suicide laws in Canada and around the world are dangerous and not safe. People with years or decades to live are induced to throw away their lives. Predictions of living less than 6 months are wrong in 50% of cases for severe heart or lung conditions. Ten years ago Mona was wrongly told she had a few months to live with a chronic lung condition . Today with better medical treatment she cares for and enjoys her grandchildren. 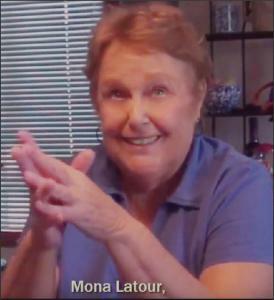 Mona could have been a candidate for assisted suicide. There are lethal errors in medical diagnosis. 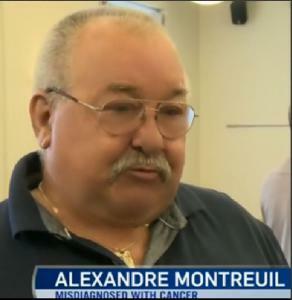 In 2004, Alexandre Montreuil underwent lung-removal surgery for a misdiagnosed lung cancer which was in fact a fungal infection cured with medicines. When first told of his lung cancer, he considered suicide. If Canada’s euthanasia and assisted suicide laws had been available in 2004, Alexandre would no longer be with us today. Euthanasia and assisted suicide are not “safe”. In Belgium, 1/3 of euthanasia deaths are performed without consent (CMAJ, June 15, 2010) and 1/2 of cases go unreported (BMJ, October 5, 2010). In the province of Quebec, Canada, doctors euthanized 31 people without respecting the law out of the 638 in one year (Quebec End of life Commission 2017). Most countries around the world including the United Kingdom and France have rejected euthanasia and assisted suicide laws because of the dangers to its citizens. Dr. Saba reminded the New York State Assembly Health Committee that overly pessimistic doctors are less likely to admit patients with severe asthma to an intensive care unit. These patients are more likely to die (British Medical Journal 2007; 335:1132). “Won’t overly pessimistic and “burned out” doctors (15% of physicians are depressed) persuade people to die by assisted suicide rather than finding better treatments to live?” queried Dr. Saba. Dr. Saba urged New Yorkers not to follow Canada’s dangerous and deadly example. He urged the NY Health Committee and legislature to vote against assisted suicide.